You always thought it was too complicated, too hard or too long to create? Forget your prejudices about making these sweet little sweets! 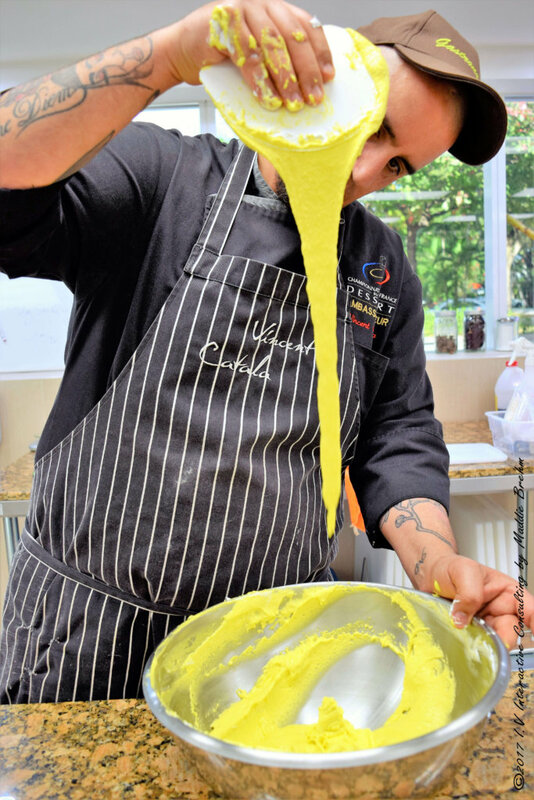 Here I will give you my recipe of the French macaron and reveal all my tricks to help you make your own macarons (at the end of page). 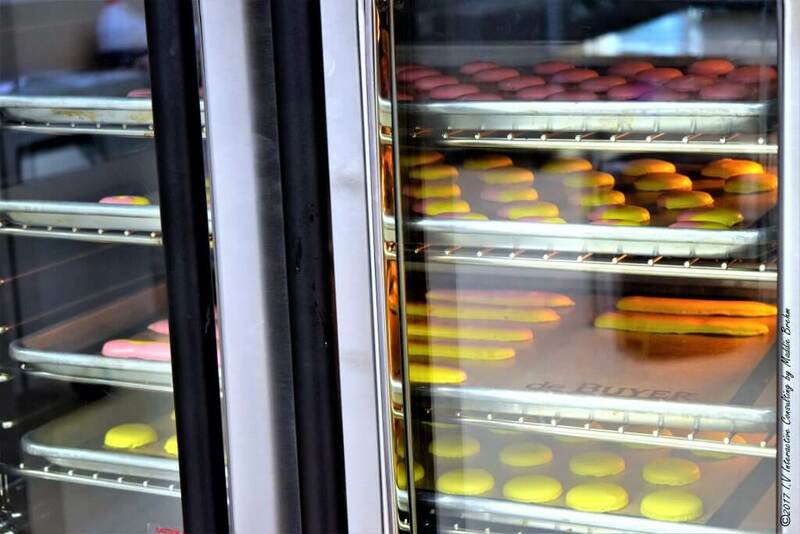 Before we start, let’s talk about the history of the macaron. 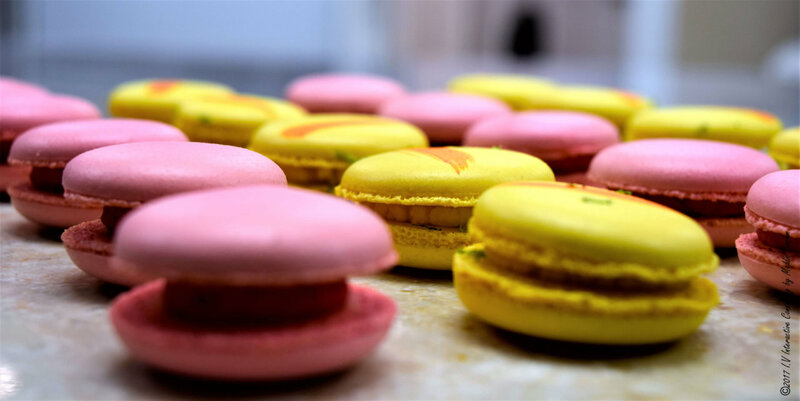 The Macaron cookie was born in Italy, introduced by the chef of Catherine de Medicis in 1533 at the time of her marriage to the Duc d’Orleans who became the king of France in 1547 as Henry II. 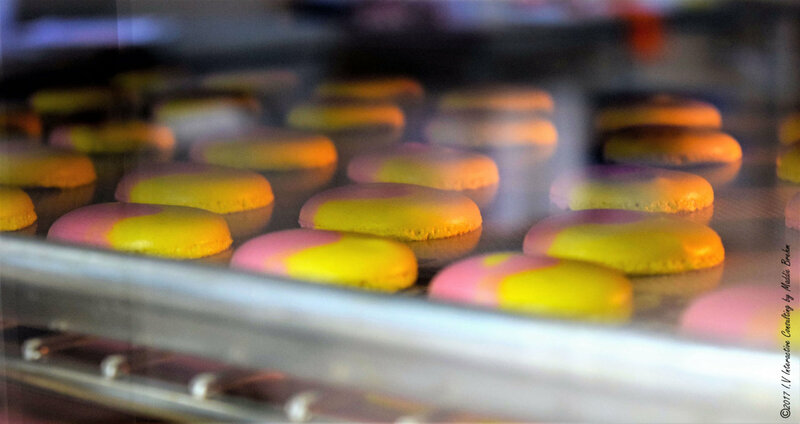 The first Macarons were simple cookies, made of almond powder, sugar and egg whites. Many towns throughout France have their own prized tale surrounding this delicacy. 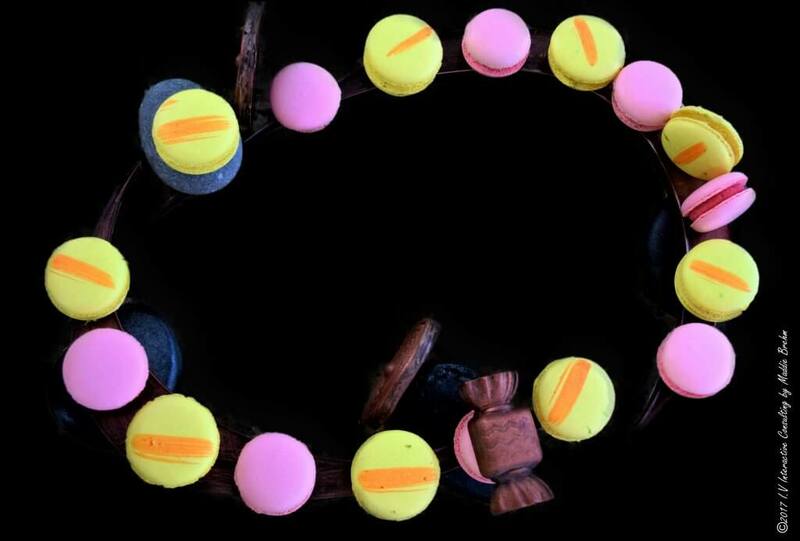 The macaron even has a special day of the year – March the 20th. 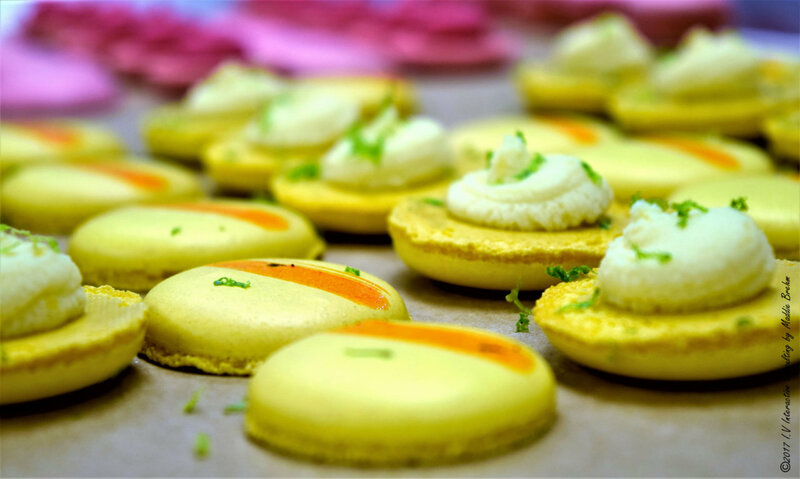 This day was introduced in 2006 by Pierre Hermé, famous French confectionary chef. ‘Macaron Day’ is celebrated throughout the world. 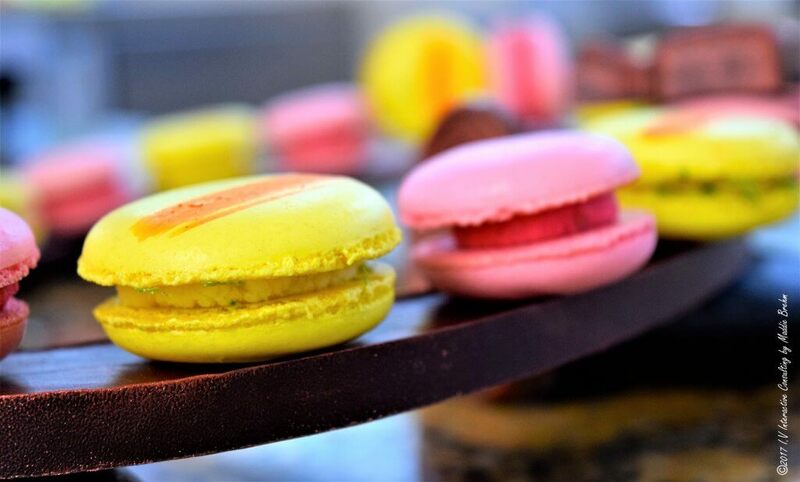 The aastry chefs of “Relais Desserts” propose a tasting of macarons, and invite us the occasion to donate towards the defeat of Cystic Fibrosis. 1 gift, 1 macaron offered! Save the date and go eat some delicious sweets! 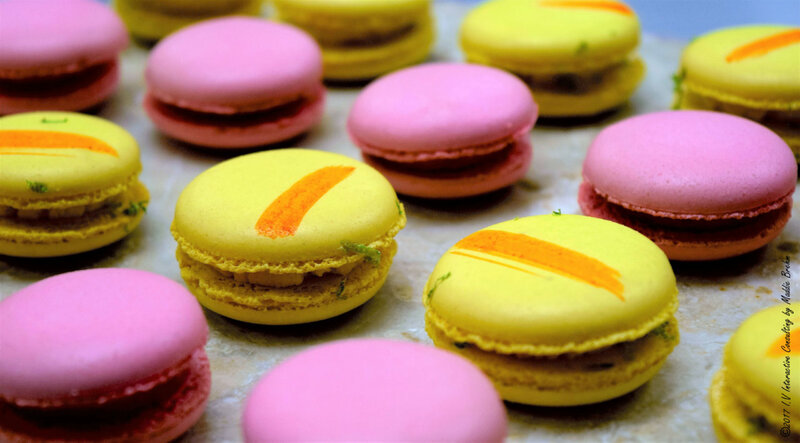 A French Macaron is delicate and airy. 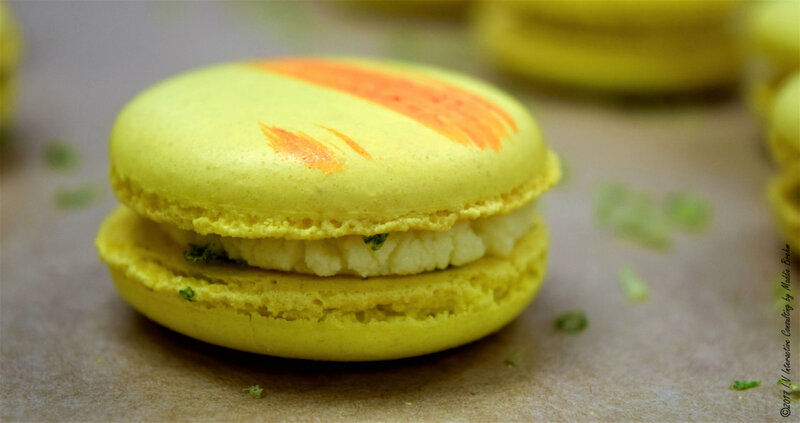 The French Macaron has an almond, sugar and egg whites-based shell. The shells have a light, crunchy texture on the outside and are slightly chewy on the inside. These shells are held together by a filling. The possibilities for fillings are endless, but the most difficult feat is achieving the right consistency and presentation of the macaron shells. The ideal macaron should be a perfect circle, achieved only with a piping bag with a round tip, and have solid smooth bases. They should have a ruffled “skirt” or “foot” along the edges where it has risen in the oven. They should easily slip off your baking mat, begging to be paired with a delicious filling and another shell. They should be very slightly chewy, yet crunchy and they certainly should not crumble easily. 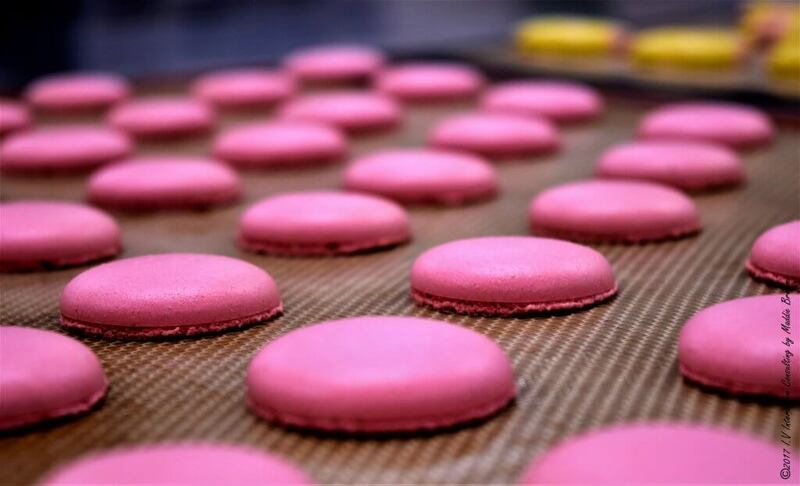 The most important feature of the French macaroon is the presence of a “collar” at its base. 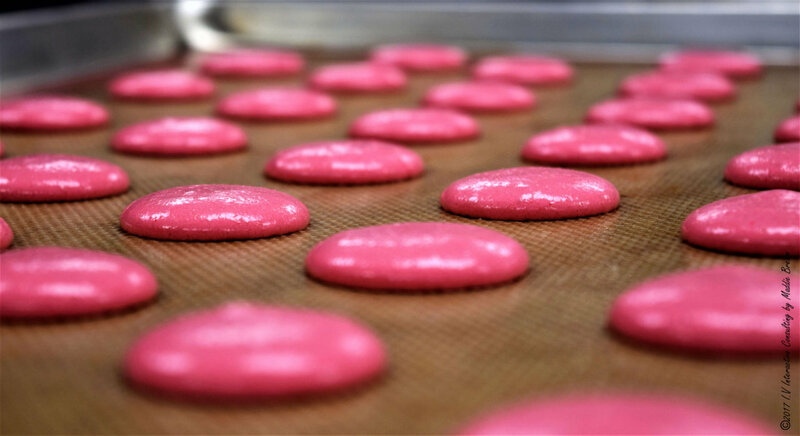 Macarons are not impossible– the success of a macaron depends almost entirely on the macaronage (the process of folding the dry mixture into the egg whites) as well as the accuracy of the oven’s temperature, not to mention that a kitchen scale is useful for macarons as proper measurement of the ingredients ensures the best results. 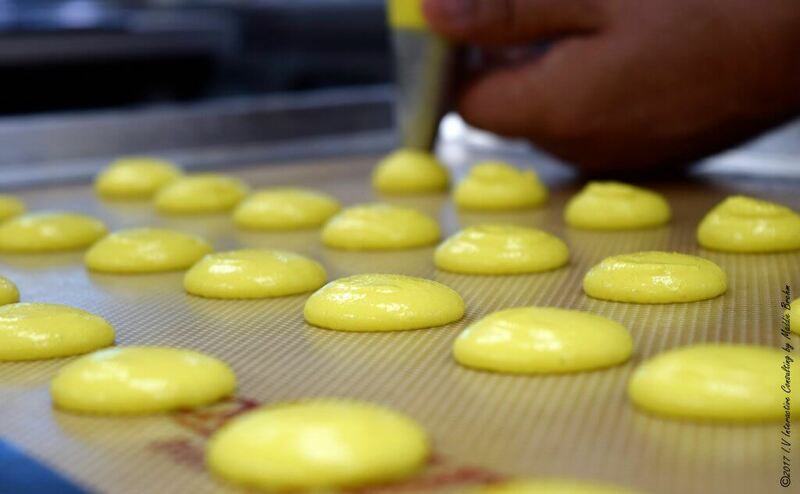 The most difficult task is to obtain good coherence and appearance of the macaroon shells. A macaron is self-sufficient. It does not needto be shrouded by pretense. 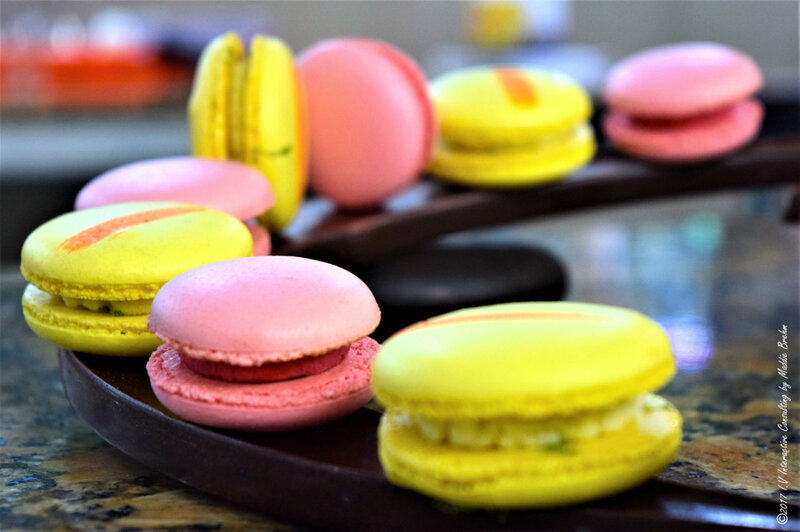 Accompanied by a hot or cold drink, whatever the time, the moment, the macaron will bring you a moment of softness and lightness. At room temperature it will unveil the power of its true taste. 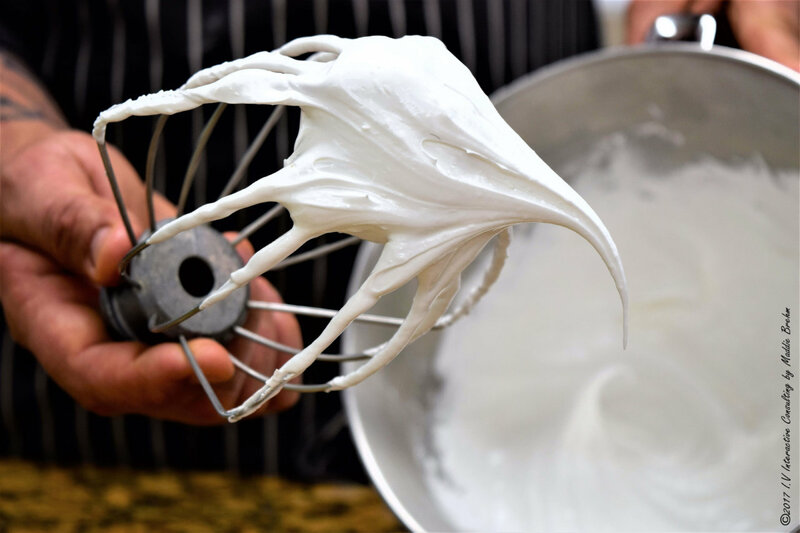 the Italian meringue: the egg whites are whipped until they have a foamy texture and then they finish up by incorporating a sugar syrup and whisking once again until they from stiff peaks. The result is a very bright and solid meringue. 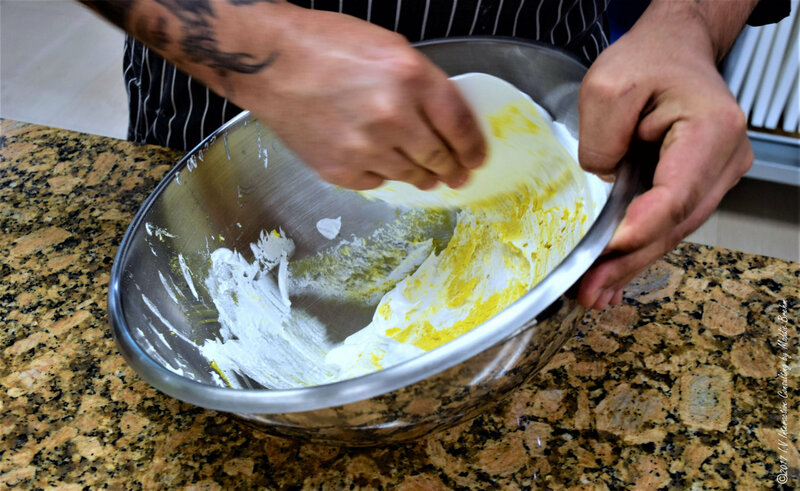 the French meringue: the egg whites are whipped with powdered sugar until obtaining stiff peaks. I haven’t any technical preference to make my macarons. Both recipes have their advantages and disadvantages. 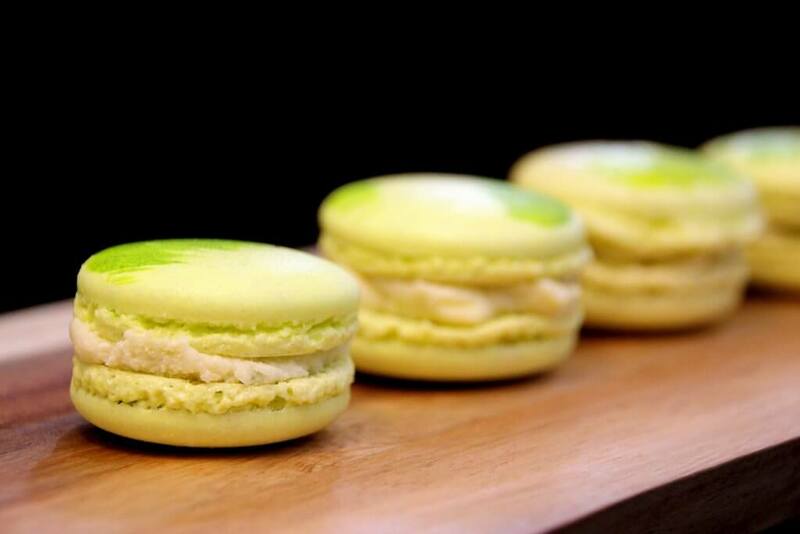 The Italian meringue makes it possible to obtain more regular, smooth and solid macaroons. Its realization is longer, technical and more difficult than the recipe based on French meringue. 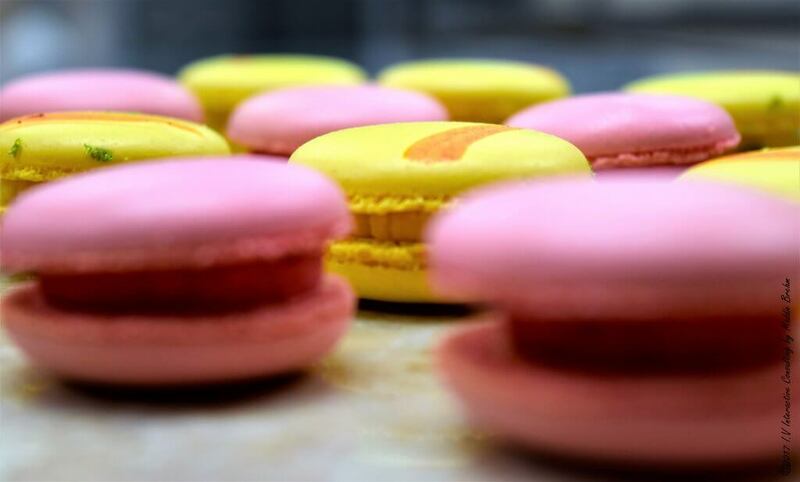 The French meringue gives macarons a more mellow but fragile texture. 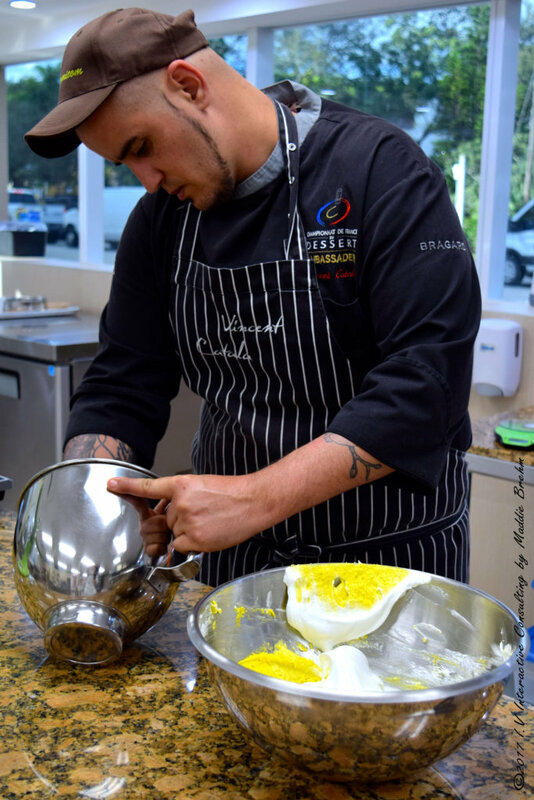 When the egg whites are sparkling and the syrup is at 121 ° C gently insert the syrup into the egg whites that are finishing rising. Continue beating the egg white until obtaining the bird’s beak. If you do it using a robot like the Kitchenaid. Turn the speed 1 on your device for about 10 minutes with the sheet. 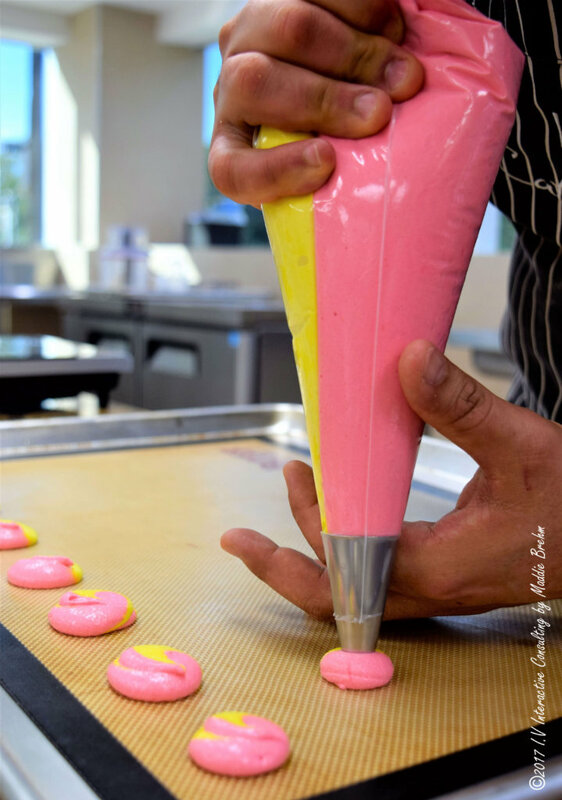 Tap the palm of your hand several times under the plate to allow the detachment of the macaroon and the future creation of the collar Make the macaroons crust 15 to 20 min away from drafts. This makes it possible to give them all their brilliance and their collar. 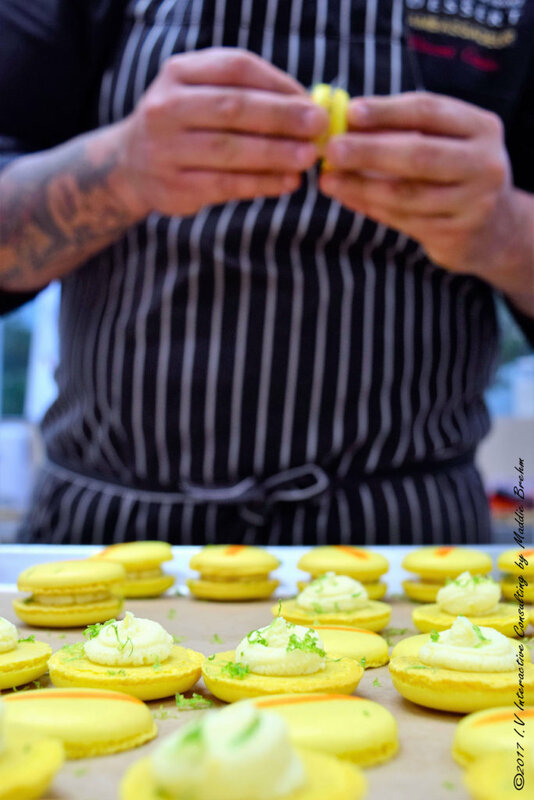 If you make longer crust, the top of your macarons will detach from their pedestals.